Bodypolish! Who doesn’t want a smooth, soft and fresh body after a massage shower? This one combines the amazing properties of both coffegrounds, coconut-butter, vanilla, the precious sweet almond oil and the incredible cinnamon essential oil. Lets start with the latter. Cinnamon has antibacterial, antidepressant, antimicrobial properties, it is astringent, immune stimulant warming and it escalates the properties of other oils. What can one say about coconut-butter I will probably need several pages for just a resumee! Lets start with the lauric acid which gives coconut based soaps the good cleansing effect they have. Though deep cleansing, it moisturizes and soothes the skin, revitalizes and heals wounds and burns, relieves itching or burning sensation, and its antioxidants repairs damaged skin. A perfect add ton an exfoliator! Coffee is know to remove smell, its antioxidant, and it removes dead skin in a gentle way. 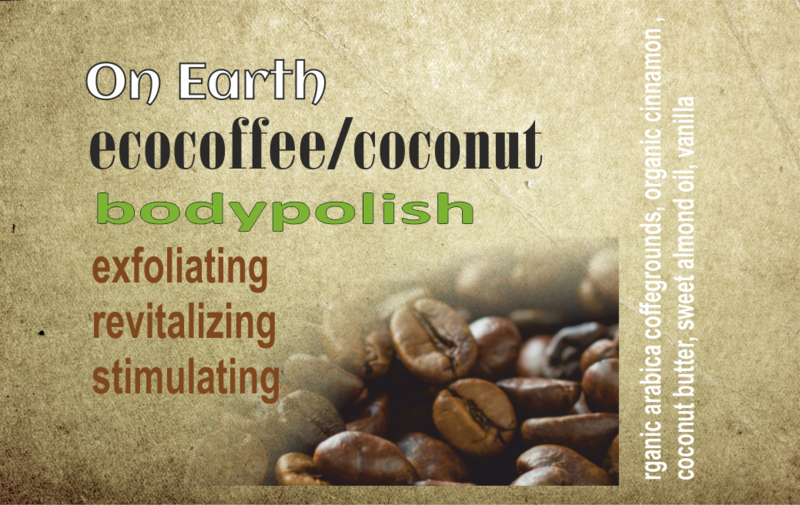 The bodypolish is literally edible =) Try it! !